That list doesn’t include youth prospects like Ben Woodburn, Connor Randall or Marko Grujic, but their absence is balanced out by the presence of lads such as Ings and Origi who are almost certainly going to be sold before the summer is out. Now on the surface, that looks like a decent enough squad. When you dig a little deeper, however, there are definitely some weaknesses. Let’s start with the defence. I can absolutely understand Jürgen Klopp’s reluctance to go into the market for a new centre-back when you consider that we have four senior defenders for the middle of the pitch and a youngster in Joe Gomez who is apparently being primed for the position. Yet it’s well documented that Joel Matip isn’t particularly reliable when it comes to his fitness, missing most of last season with a problem and picking up another muscle strain on the pre-season tour. 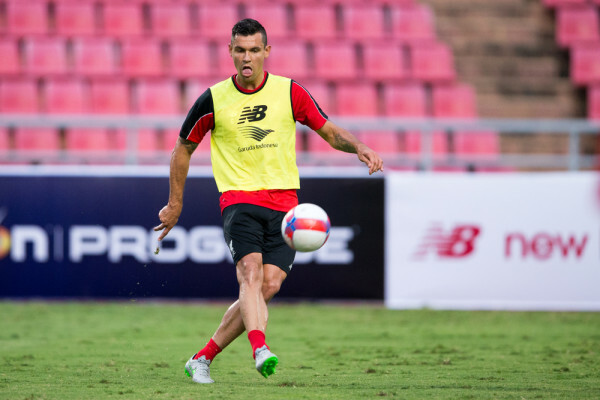 Then there’s Dejan Lovren, a man who is rarely out for long but is often unavailable for selection thanks to viruses, colds and muscles problems. Can we really afford to go into next season with just one senior centre-back in Virgil van Dijk who can be relied upon? Especially given how long he was out injured for when he had a serious issue during his Southampton days. Both Ragnar Klavan and Joe Gomez have had slight problems in the past, too. Cobbling together a defence from that if two or three of them are injured at the same time, which isn’t out of the realms of the possible, will be a worrying task. 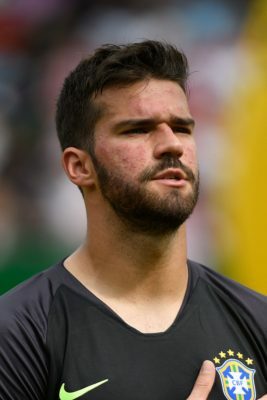 As for the goalkeepers, everyone is delighted by the signing of Alisson Becker from Roma for a world-record fee. All of the talk I’ve heard about him is exciting and I think he might be the best decision we could’ve made this summer. The issue comes in the form of the club’s number two, with Simon Mignolet neither good enough to fill the role nor likely to stick around for very long now that he knows he definitely won’t become our number one again. As for Loris Karius, he seems to be all over the show in terms of his mentality after his Champions League errors and few supporters, to say nothing of him teammates, will be happy at the idea of him coming in at any point during the year ahead. The midfield probably looks like our strongest area, but I’m not entirely convinced by some aspects of it. We’ve begun to hear the old cliche of Adam Lallana being ‘like a new signing’, but I don’t think he’s got the legs to cope with a full season of playing Klopp’s football and his injury record of late has been found wanting. I’m equally unsure of James Milner’s ability to put in a full season, bearing in mind that he only really came into the team regularly in the second-half of the last campaign. 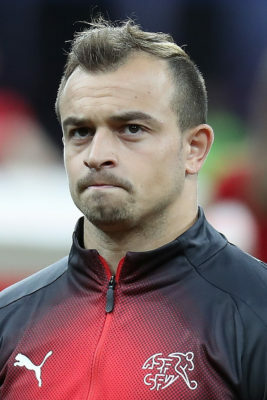 Add in the injury to Alex Oxlade-Chamberlain and you’re asking an awful lot of the four other players when you look at the four tournaments we’ll be playing in and the fact that Shaqiri isn’t a midfielder in the typical sense. Last but not least comes our striking options. Everyone knows that the front three are amongst the best in the world, but the drop off if they get injured is alarming. Daniel Sturridge was once a brilliant striker, but he just doesn’t have the pace to threaten in the same way as the others now. It’s always tricky to judge in pre-season, but he looks like he’s running through treacle. He’s still got the brain for it, so I wouldn’t be surprised if Klopp wants to turn him into a Coutinho-type player. But to come in and replace Roberto Firmino if the Brazilian was out injured for any length of time? I’m not convinced. I genuinely believe that this is Liverpool’s best chance in a long while of winning the title if we get a fair wind behind us. I love how our squad is shaping up and can understand why the manager might be reluctant to make too many purchases. Yet the reality is that even without a major injury we still look like the drop-off is far too much in certain areas. I want a squad that looks capable of competing across the board, so I hope that Jürgen Klopp’s statement that we’re done with our business for the summer is just bluster. Let’s not have another year when we feel as though just one or two more signings might have made the difference. The manager might have said that our work is done, but that isn’t stopping the press from linking us with people. Here are the ones that they think will sell the most papers. There’s an argument that Christian Pulisic is the most Liverpool Under FSG Player that there could possibly be. He’s young, which ticks everyone’s box, he is at Borussia Dortmund, so Jürgen Klopp knows him, and he’s going to be an American superstar, so the owners will be delighted. That he scored twice and created the third goal in our friendly against the German side is unlikely to have gone unnoticed in Boston. Since then, more and more noises about the player have been emanating from the people around him. Pulisic’s own father has stated today that the twenty-year-old has ‘always aspired to play in the Premier League’. 70m euros for Pulisic? Yes please. 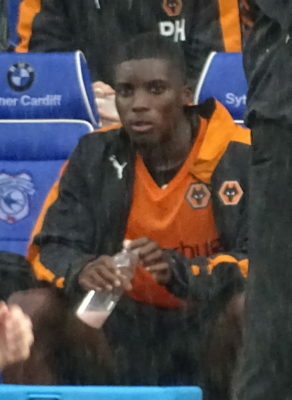 Outrageously talented player, 19, so got loads of room for development, massive marketing potential in the States. I get the feeling FSG would be on board too given that he’s the biggest talent that America has ever produced. There also seems to be a willingness from the selling club to name a price, even if it is much higher than Liverpool would be willing to pay after an expensive summer. Dortmund have apparently stated that he’s not for sale, but if he does get sold then it won’t be for less than €70 million. Now correct me if I’m wrong, but that does seem to be about the least convincing ‘not for sale’ about a player that I’ve ever heard. Yes, Liverpool aren’t in the market for anyone else. Yet we’ve all heard the manager say things about players ‘becoming available’ and I do wonder if Pulisic might fit into that bracket. I certainly think he will be a Red at some point, but whether it will be this summer or not remains to be seen. From the sublime to the ridiculous. I’ve written above about why I think Liverpool’s business shouldn’t be done yet this summer, even if the manager disagrees. 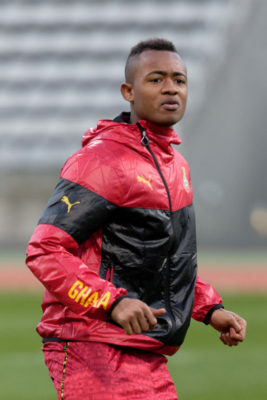 Yet even I’m not convinced that Jordan Ayew is likely to be wearing the Red kit any time soon. The forward is still on the books of Swansea and the Welsh side are keen to get rid of both him and his brother Andre as they’re two of the highest earners. According to a report in the Daily Mirror, he could be available for about £6 to £8 million. The big question is, is there any chance that Liverpool might want to sign him? Even at £6 million, how on earth does he offer anything to the Reds? Andre Ayew has joined Fenerbahce on loan, meaning that they only need to find a home for Jordan if they’re to remove their wages from the books. I would assume that that’s why Liverpool’s name has been dragged into things, in order to get some press coverage and let teams around Europe know that he’s for sale. It might also boost the amount of money that the likes of Fulham might have to pay for him if there’s a threat of a bigger club coming in. In short, this one looks like a nonsense. 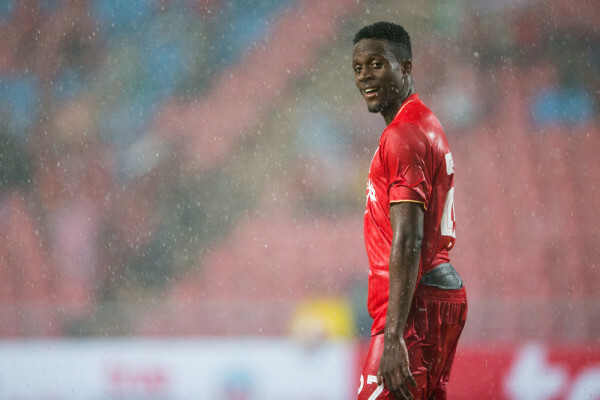 Off the top of my head, I’m struggling to think of a player who has disappointed me as much as Divock Origi. That’s not because he’s been unilaterally rubbish; rather it’s because he had such promise in the early days and has just not fulfilled it. When he hit his stride under the manager in the 2015-2016 season, he looked like he could develop into an unstoppable force. The match against Borussia Dortmund in the Europa League when he scored our opening goal and kick-started the comeback looked like it should’ve been the making of him. Instead he’s drifted since then, though we can’t no how much the injury caused to him by Everton’s Funes Mori in the Merseyside derby damaged his confidence as well as his body. Regardless, he’s now on the list of players who will be allowed to leave if we get offered a price that the club’s happy with. The rumour doing the rounds at the minute is that he’s wanted by Valencia and that we’re trying to get £27 million from them for him. If we’re able to persuade the Spanish club to spend that much, we’ll have to say once and for all that Michael Edwards is brilliant at his job. Even in the post-Neymar world of football transfers, that’s an incredible amount of money for an average striker that hasn’t looked confident in his play for about two years. The Belgian failed to impress on his loan at VfL Wolfsburg and Liverpool can’t afford to carry any passengers so let’s get him shifted and we’ll all move on. If Divock Origi is one of the most disappointing players in recent times then Sheyi Ojo is one of those that I’m most disappointed for. The youngster has always looked exciting when I’ve seen him, but there just doesn’t seem to be a path into the first-team for him any time soon and so moving on seems to be the best solution for everyone. I think he’s a talent and I wouldn’t be surprised to see him come on leaps and bounds playing regularly for a decent side, even to the extent that people will say that we made a mistake in selling him. The reality is, however, that he’ll need to get that playing time in order to truly hit his stride and I just don’t see how he’s getting it at Anfield. The twenty-one-year-old will be chased by a number of sides, with links emerging to both West Brom and Burnley. He played twenty-two times for Fulham in last season’s Championship, finding the back of the net four times and notching up two assists as he helped them gain promotion via the play-offs. Other tier-two teams, such as Nottingham Forest, Middlesbrough and Reading, have also expressed an interest in getting him on board as they look to find their way to the promised land. As for Burnley, the Clarets struggled to score goals last season and Sean Dyche will be keen to bring on someone that can add something to their attack. Is Ojo the man to do it? The start of the season is rapidly approaching, with the deadline for transfers arriving before that. There aren’t many more of these articles to come, therefore, so what will happen before the first ball of the campaign gets kicked? How Does Liverpool’s Squad Looking Heading Into The Summer?